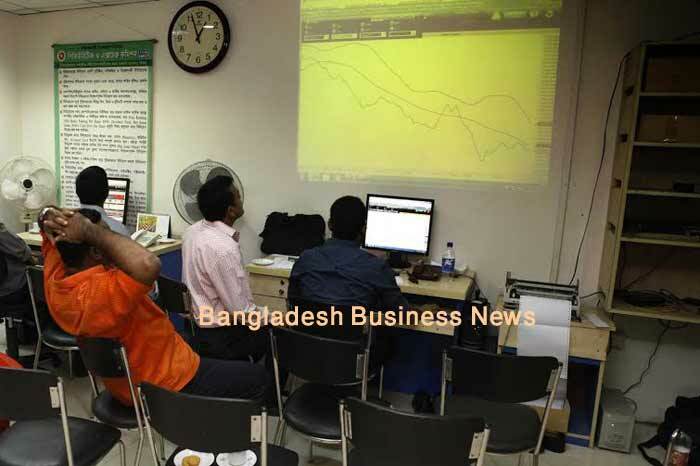 Dhaka, Bangladesh (BBN) – Bangladesh’s stocks returned to green zone on Wednesday, breaking the previous two days’ plunging trend as some optimistic investors took position on banks and telecom shares. Analysts said the market rebounded as some optimistic investors took position on selective issues, especially banks and telecommunication amid positive earnings declarations. Following the previous two days’ decline, the Dhaka Stock Exchange (DSE) and the Chittagong Stock Exchange (CSE) opened positive in the morning. Within first 15 minutes of trading, the key index of the country’s prime bourse advanced nearly 28 points while the Selective Category Index of port city bourse advanced 29 points. The upward trend continued till end of the session amid modest volatility within first hour trading and rest of the session went up steadily, finally ended more than 33 points higher. DSEX, the prime index of the Dhaka Stock Exchange (DSE), which replaced the DGEN in four-and-a-half-year back, finished at 6,002, advancing 33.50 points or 0.56 percent over the previous session. The two other indices also edged higher. 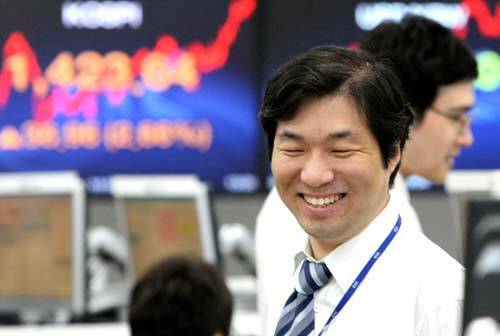 The DS30 index, comprising blue chips advanced 8.68 points or 0.40 per cent to close at 2,182. The DSE Shariah Index (DSES) also advanced 2.30 points or 0.17 per cent to finish at 1,324. Turnover, the most important indicator of the market, stood at BDT 5.83 billion, which was 9.0 percent higher than the previous day’s turnover of BDT 5.36 billion. A total number of 0.107 million trades were executed in the day’s trading session with trading volume of 165.11 million securities. The total market capitalisation of the DSE stood at BDT 4,090 billion which was BDT 4,068 billion in the previous trading session. Gainers took a modest lead over the losers as out of 331 issues traded, 173 closed higher, 110 closed lower and 48 remained unchanged on the DSE trading floor. BBS Cables topped the day’s turnover chart with 2.36 million shares of BDT 328 million changing hands, closely followed by IFAD Autos, LankaBangla Finance, Brac Bank and Aamra Networks. Tung Hai Knitting & Dyeing was the day’s best performer, posting a gain of 10 percent while Kay & Que was the day’s worst loser, plunging by 4.88 percent. The port city bourse Chittagong Stock Exchange (CSE) also closed higher with its Selective Categories Index – CSCX –advancing nearly 50 points to close at 11,240. Gainers beat losers as 135 issues closed higher, 77 closed lower and 25 remained unchanged on the CSE. The port city bourse traded 11.64 million shares and mutual fund units worth BDT 333 million in turnover.